Sunday night marked the Game of Thrones finale, a new episode of Mad Men, and, of course, another episode of Keeping Up With the Kardashians, otherwise known as Kim & Kanye Take Up All the Monday Headlines. 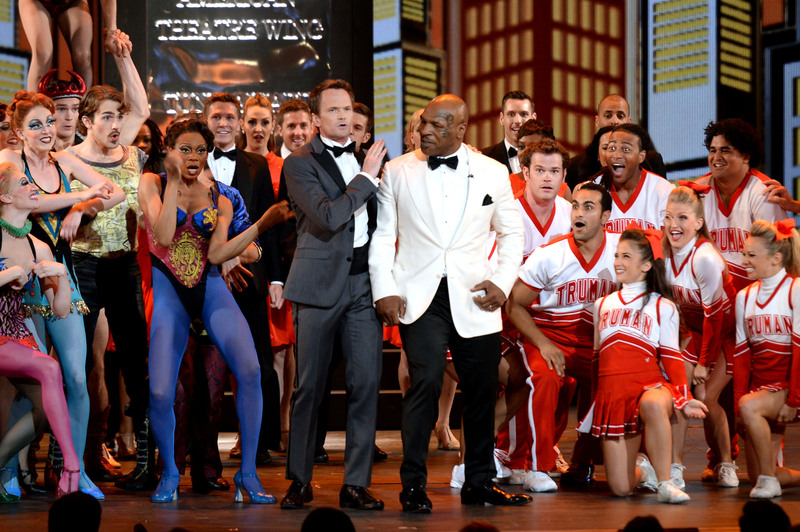 So it's understandable that you missed the 2013 Tonys. And it's too bad you did — host Neil Patrick Harris continued to prove he should host everything (the Emmys, the Oscars, your 5-year-old niece's birthday party). Not only did he literally jump through hoops during his opening number, but he also delivered a celebrity cameo. That's right — watch the video below to watch Mike Tyson himself dance alongside Harris. His moves are better than any review for Hangover Part III.